We investigate the mystery of why parents across the world became convinced that a half-bird/half-woman monster was going to harm their kids over the internet.<br><br>And we answer the question of how robocallers are able to fake your telephone number when they call you. This week, a story about people who start hearing voices in their heads. But, instead of trying to get rid of the voices, they try to make more. Reporter Laura Klivans has the story.<br><br><br><strong>Our Sponsors<br></strong><a href="http://gimlet.media/RAMailchimp">Mailchimp</a> – Send better emails. Also visit Mailchimp’s new non-profit online store <a href="http://gimlet.media/RAFreddieandCo">Freddieand.co</a>.<br><a href="http://gimlet.media/RAFracture">Fracture</a> –&nbsp; Get 10% off, and don’t forget to mention Reply All in their one question survey.<br><a href="http://gimlet.media/RASquarespace">Squarespace</a> – The easiest way to create a beautiful website, portfolio or online store. Use the offer code “REPLY” to get 10% off your first purchase. Paul Modrowski is in prison for a murder he claims he didn't commit, and he says he’s been misunderstood because of his autism.&nbsp; This week, we bring you the conclusion of our story. Sruthi meets Paul in prison and explains what she thinks really happened the night of Dean Fawcett’s murder. This week we have a story about a big group of people with the same questions. Difficult, complicated, heartbreaking ones. These people all have one thing in common — they’re Mormons. Reporter <a href="http://http//www.karenbduffin.com/">Karen Duffin</a> tells their story. Hi. We're off this week, but we have a little secret: We actually used to have another podcast about the internet for 38 episodes, called TLDR. 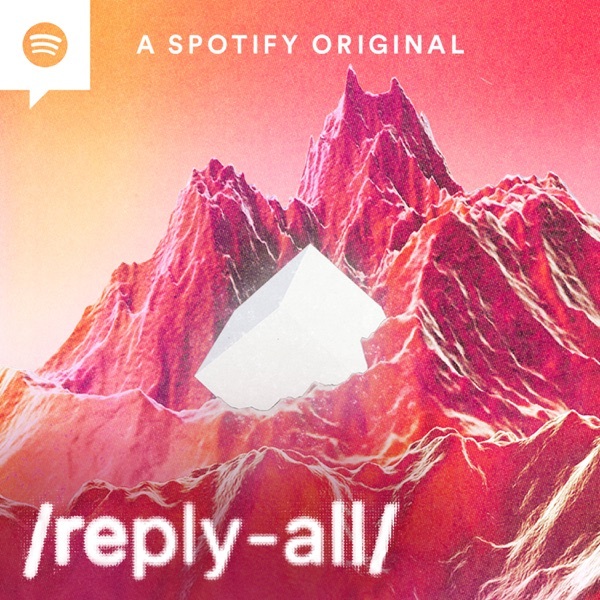 So If you've already listened to all of Reply All, why not give TLDR a try? You can subscribe&nbsp;<a href="https://itunes.apple.com/us/podcast/tldr/id709617583?mt=2">on iTunes&nbsp;</a>or any other podcatcher, and here are links to some of our favorite episodes:<br><a href="http://www.onthemedia.org/story/tldr-hundred-songs/"><br></a><a href="http://www.onthemedia.org/story/11-rip-vile-rat/">#10 100 Songs in a Day<br>#11 RIP Vile Rat</a><br><a href="http://www.onthemedia.org/story/14-knowledge/">#14 The Knowledge</a><br><a href="http://www.onthemedia.org/story/4-unicorn/">#4 The Unicorn</a><br><a href="http://www.onthemedia.org/story/29-olivia-taters-robot-teenager/">#29 Olivia Taters, Robot Teenager</a><br><a href="http://www.onthemedia.org/story/36-/">#36 The Mystery of Childish Gambino</a><br><br>Thanks for listening, and see you next week! Amy and Ryan Green’s one-year-old son is diagnosed with cancer and begins an agonizing period of treatment.<br>And then, one night in the hospital, Ryan has a strange epiphany: this whole terrible ordeal should be a video game. This week, updates on some of the stories we've done over the past year, some bonuses and surprises, and the most beautiful song ever written about ping pong balls and a clarinet. Ripoff Report is one of the original complaint websites. It’s basically the work of one person, a man whom the internet describes as a kind of mythical villain, a Keyser Söze who wields power from behind his janky website. Reply All producer Sruthi Pinnamaneni visits his bunker. Even though technology evolves at a rapid clip, US government agencies seem trapped about a decade in the past. PJ talks to technologist Clay Johnson about why the government is so unable to adapt, and what it would look like if it could keep pace with the rest of the world.<br><br>If you want to become a gimlet member, you can go here: http://gimletmedia.com/join. A year membership will get you a t-shirt, early access to pilots, and much more. Also, this Monday, August 10th, we'll be doing a live chat for members only. If you're already a Gimlet member, you'll find information about it on the gimlet page in the next couple of days. Yes Yes No returns, and the story of two people who created a company designed to ghostwrite people’s emotionally difficult emails.<br><br>Don’t forget to participate in Email Debt Forgiveness Day! Leave us a voicemail at (917) 475-6668 about your most anxiety inducing unanswered email. All will be forgiven, we promise. In 2012, a woman named Lindsey Stone posted a picture she took as a joke to her Facebook page. A month later, she was under attack from all corners of the internet, out of a job, hounded by the press. The internet had targeted her for a public shaming. Jon Ronson, journalist and author of the new book "So You've Been Publicly Shamed", walks us through Lindsey's story and introduces us to the sometimes sketchy world of online reputation management. In 1997, John Silveira wrote a joke classified ad in a tiny publication called Backwoods Home Magazine asking if anyone wanted to travel back in time with him. A lot of people took him seriously. What do you do when everyone wants you to fix the worst mistakes they've ever made. For Jonathan Goldstein, YouTube offers endless nostalgia, but he always finds himself returning to the same subject - a precocious child actor from the early 70’s named Mason Reese. And then a few months ago, new clips of Reese began popping up on YouTube. What's more, they appeared to be uploaded by Reese himself. Jonathan sets out to discover why - and why now, after 40 years. A woman starts dating again at 60 after her marriage falls apart. We follow her into a world of millionaire import/export moguls and fifteen-year old internet scammers. Sometimes, on his way to work, a feeling of pressure begins thumping in Paul Ford’s chest. His breaths shorten. They speed up. And sometimes, in those moments of extreme anxiety, Paul’s phone talks to him. It tells him everything that’s wrong with him. In 1996 Jennifer Ringley started Jennicam.org, where she recorded and broadcast her entire life, 24/7. It made her famous. And then, one day, she disappeared from the internet entirely. What'd she figure out about the perils of living publicly before the rest of us did? Alex Goldman tracks her down.